Make a trip by boat and walk into the town of Portovenere and its narrow beautiful streets during your stay in Liguria, Italy. The beautiful seaside resort of Portovenere is located about 12 km at the tip of a headland, which borders with the Bay of La Spezia in the west. 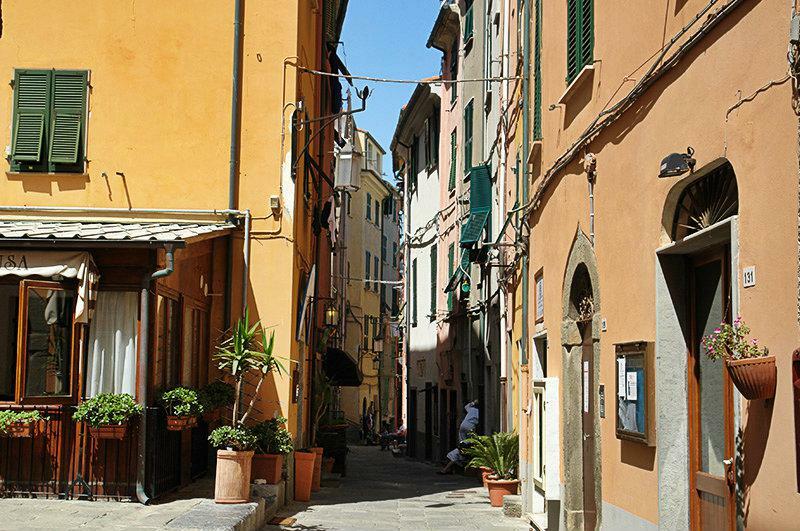 The small town belongs to the Liguria region and is one of the most beautiful places on the western coast of Italy. 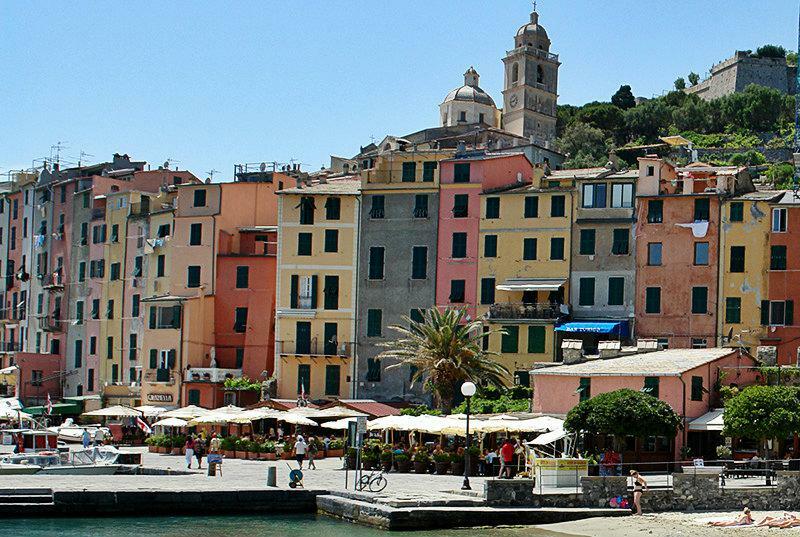 Portovenere can be translated as the Port of Venus. It has been built in a wonderful narrow and skewed setting of house façades towards the sea. From the Loggia of lovers one can see up to the villages of Cinque Terre. 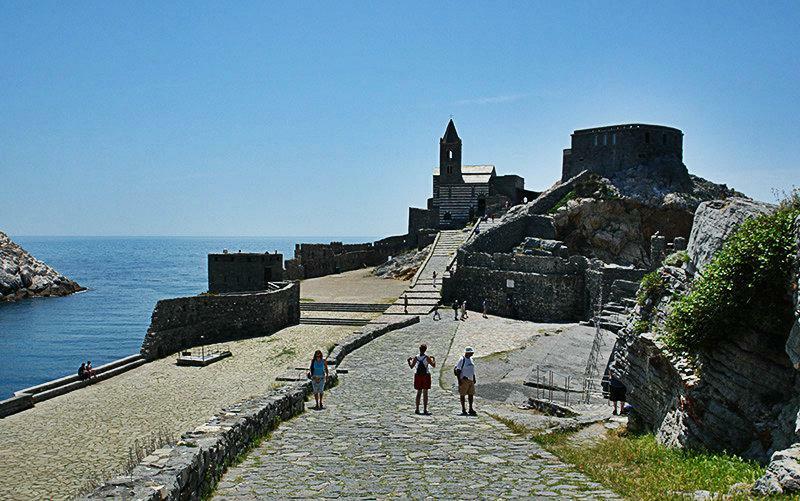 Portovenere offers an optimal holiday destination for your vacation in a holiday house. Besides the wonderful town, which is characterized by its multi-coloured houses, there is also a variety of activities and attractions there. The San Pietro Church, for example, lies directly at the shore and was built in a typical Ligurian black and white pattern. Standing on Isola del Tino is a lighthouse and the ruins of the Abtei San Venerio from the 11th century. However, this can unfortunately only be visited on 13th September, or also on the following Sunday, which is the feast day of the Holy Venerio. A boat excursion can be a wonderful experience for the entire family. 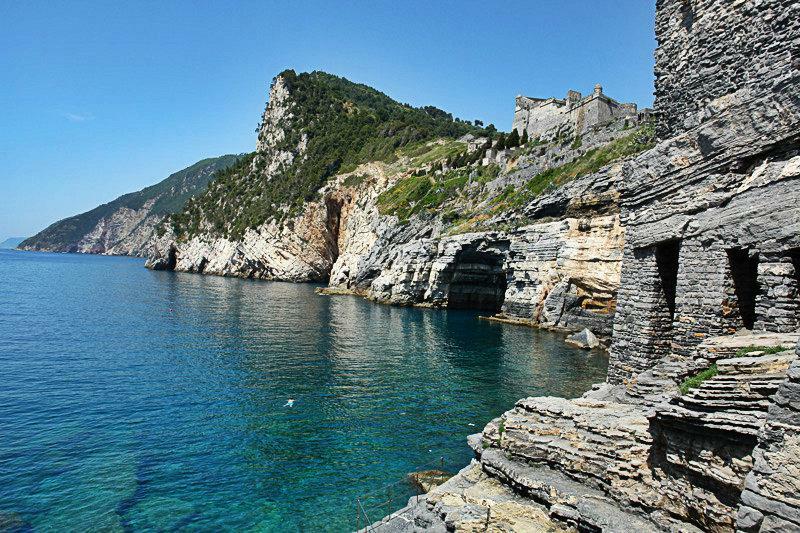 The prominent Greek freedom fighter, Lord Byron, loved to go swimming in Portovenere. It was for this reason that the Grotta Byron was named after him. 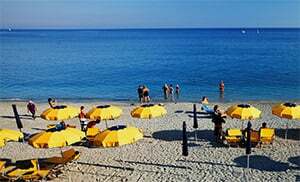 The annual swimming competition to Lerici takes place here in August. Portovenere developed as a Roman village in the first century BC. In the year 643 the area was devastated by King Rothari of the Langobards. In the following centuries the place was frequently attacked by the Saracens. In 1113 Portovenere became possession of the Republic of Genoa, which built a defence facility above the town against the Pisa Republic, with which Genoa was at war. During the subsequent wars of the republics Portovenere played an important strategic role. In the 12th and 13th century the two churches of San Lorenzo and San Pietro were built. In 1396 the Republic of Genoa, and by default also Portovenere, came under French rule led by Karl VI. Through the attack by the Aragons in 1496 parts of the town and both churches were severely damaged. However the attack was repelled successfully. In the 16th and 17th centuries the castle was expanded and made to match the times. it was expanded and turned into a fortress. Another facility was set up on the rock in front of the Palmaria island, which was destroyed by the English and is today preserved as ruins. In 1791 Portovenere was occupied by Austrian, Russian and French troops, and in 1805 Portovenere became part of the First French Empire. The locality then became part of the Italian kingdom in 1861. 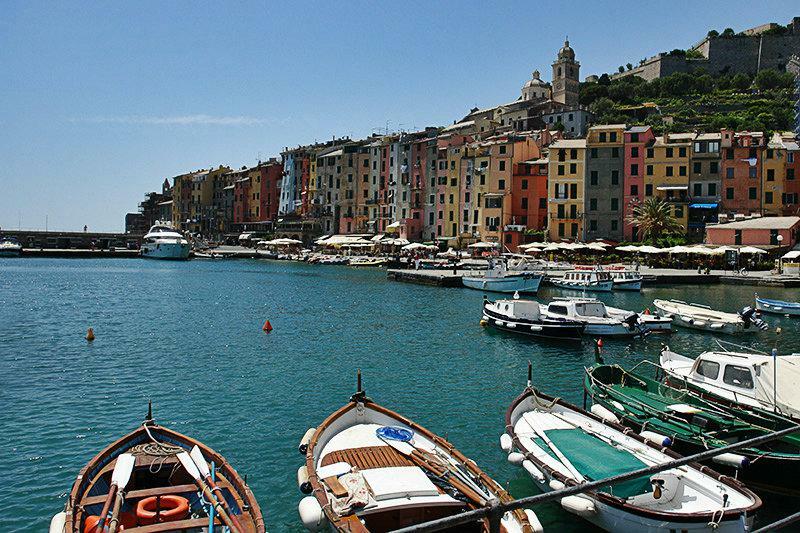 In 1997 Portovenere was declared a UNESCO World Heritage Site. Portovenere is a village in the La Spezia province which lies in the Liguria region. 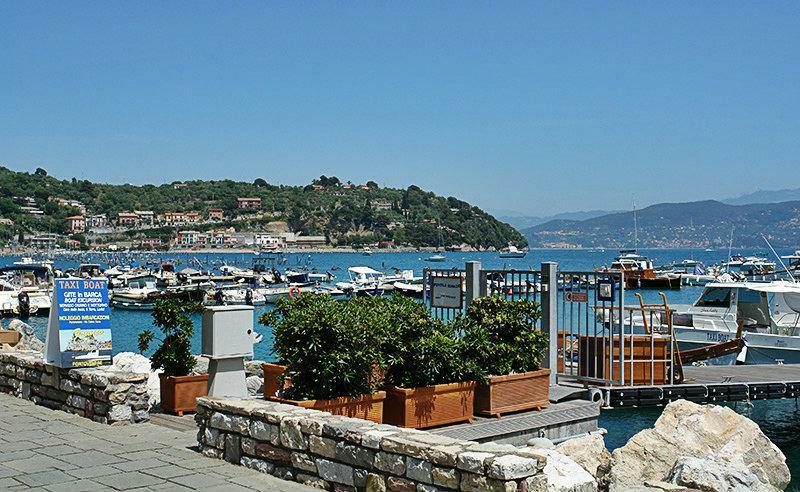 In the vicinity of Portovenere are several other villages like: Le Grazie (4.4 km), Fezzano (7.7 km) and Il Piano (13.5km). From Genoa take the highway exit towards SS530 up to Portovenere.